Happy Valentine's Day! Do you know the way straight to my heart? Books, all things planning/tracking-related, ice cream, and chocolate. And if I've just finished a book and I'm recording it in my reading journal while eating a bowl of chocolate ice cream? Well, I'm pretty much in heaven. 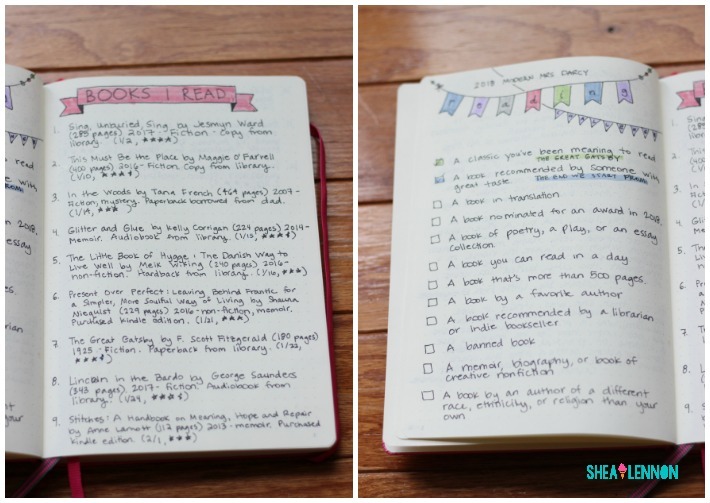 Inspired by a new linkup from my friends Alexandra and Lauren all about planning and documenting (so my jam), I thought I'd share the way I'm using a bullet journal in 2018. Last year I kept a bullet journal instead of a traditional paper planner. You can read all about my experience with it here. It worked pretty well for me, and I liked how it combined the organizational aspects of planning with journaling and memory keeping. However, what I enjoyed most about my bullet journal was using it to record all things book related. This year I decided to go back to a traditional planner, but create a separate bullet journal as a reading journal. So far I love it! Here's how I use it. For the journal itself I use a Leuchtturm Medium Hardcover, and right now I use a black Sharpie pen. I may switch to a black Staedtler Fineliner because the Sharpie feels a little too thick to me. For fun, I also bought some Zebra Mildliner pens to add some accent colors. I'm forever screen-shotting quotes from books, so when I'm done with a book I record my favorite quotes in my journal so that I can delete the screen-shots. I love going back to look at favorite quotes, and I find that if they're lost in my phone I don't do that at all. I also use it for reading challenges and to record books read. This year I'm doing Modern Mrs. Darcy's 2018 Reading Challenge, so I'm keeping track of those reads in a special list, as well as a more traditional book log. 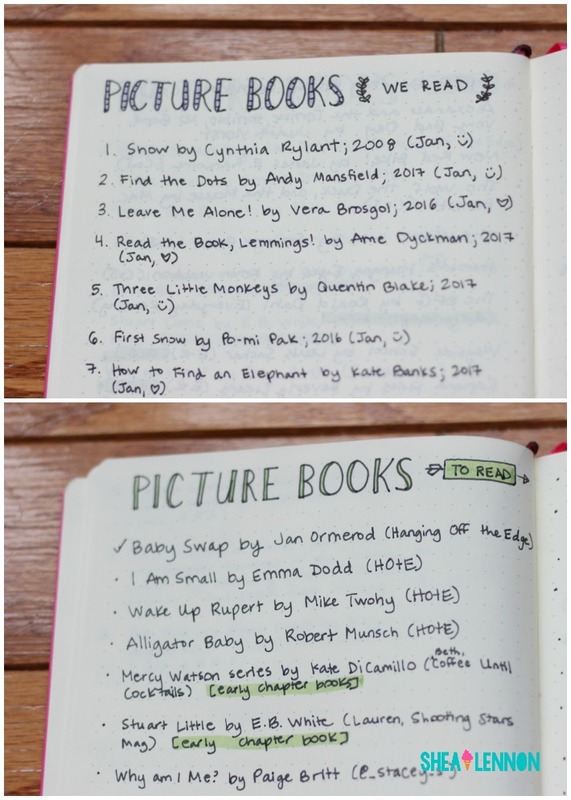 I use Goodreads, but I like writing down what I read as well. In my book log I include the book's title and author, the number of pages, the year written/published, the genre, where I got the book (e.g. hardcover from library, purchased on Kindle, etc. ), date finished, and star rating (which for me includes half stars...dang you Goodreads!). Additionally, I keep a running list of picture books and early chapter books to read, and where I saw the recommendation (blog, Instagram, podcast, etc.). For my own books I use Goodreads as my TBR, but for some reason didn't want to do that for kids books. 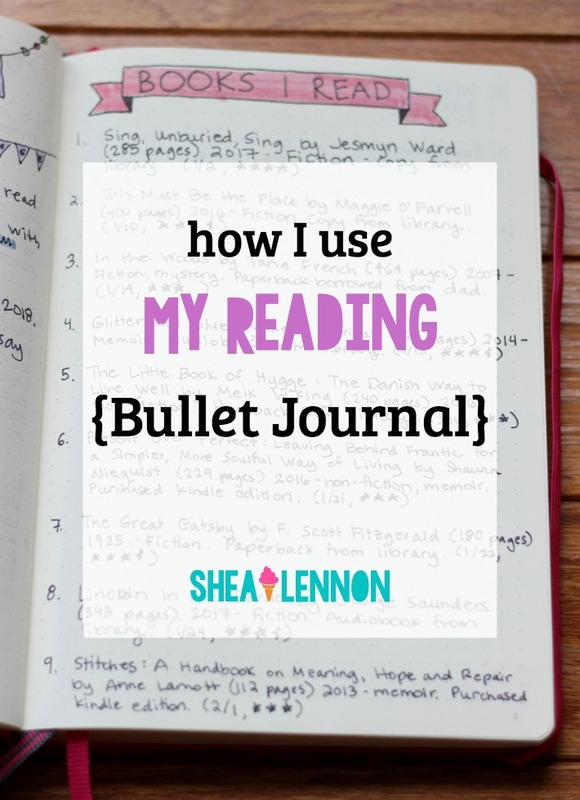 At this point that is all I include in my reading bullet journal, but what I like about a bullet journal is that I can completely tailor it to fit my needs, so if I want to add another section, I totally can. I'm having a lot of fun with it, and I enjoy getting inspiration from Pinterest on how to make pretty headers, but not feeling like I have to make a new header every day, or a calendar for every month. This type of bullet journal really suits me. 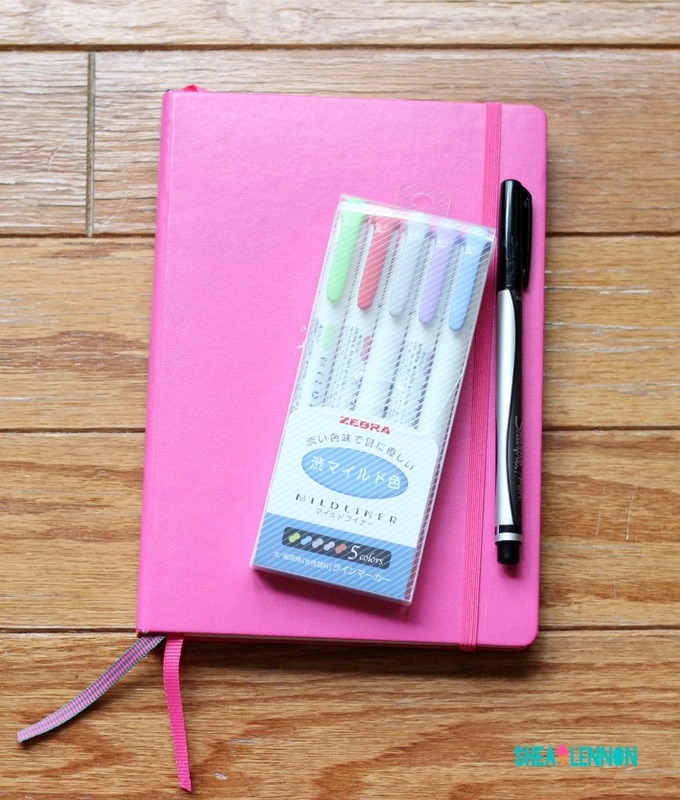 Do you keep a reading journal or a bullet journal? How do you record what you read? Linking with Keeping it Together.